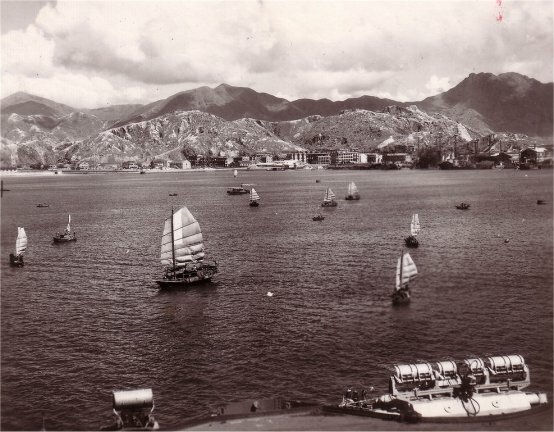 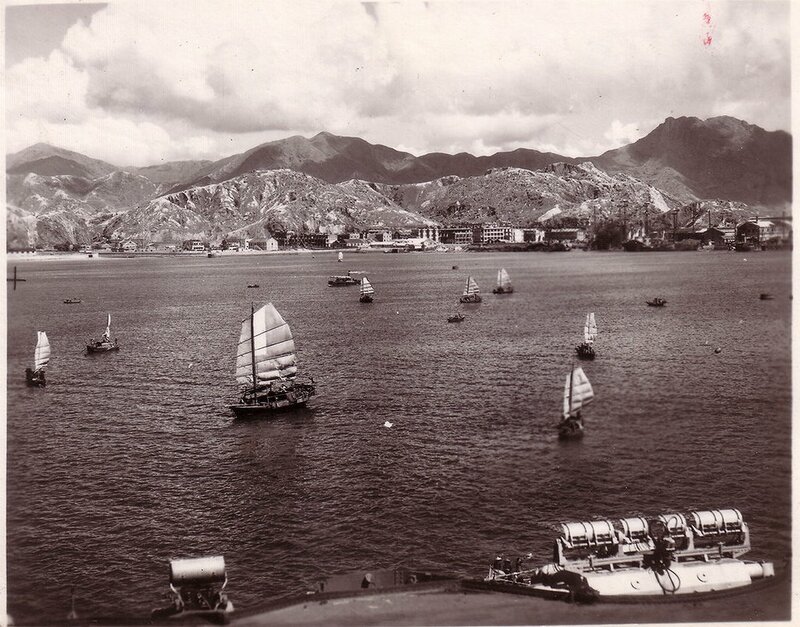 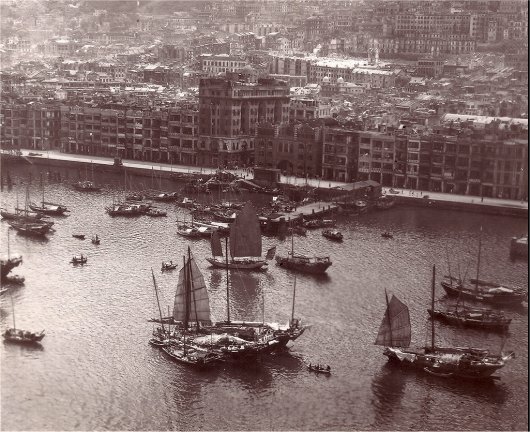 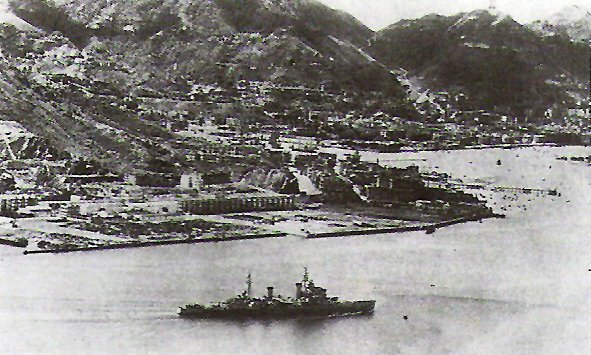 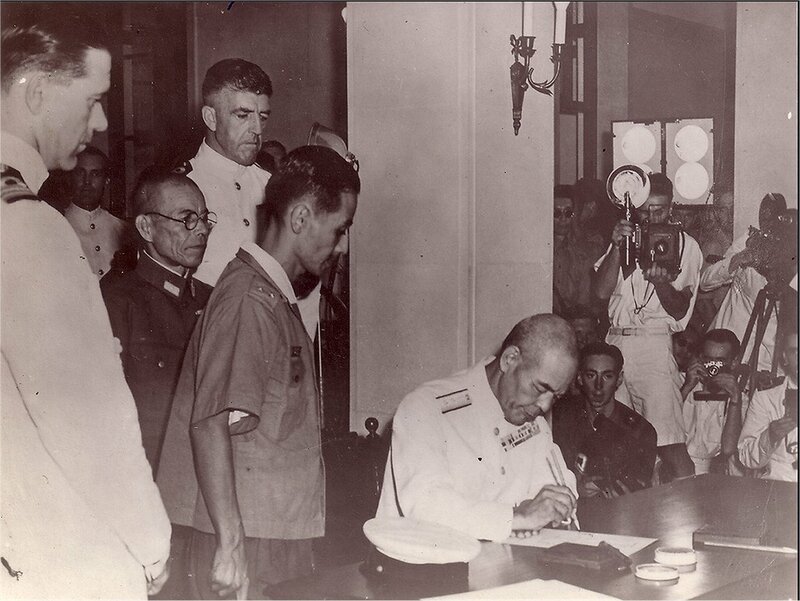 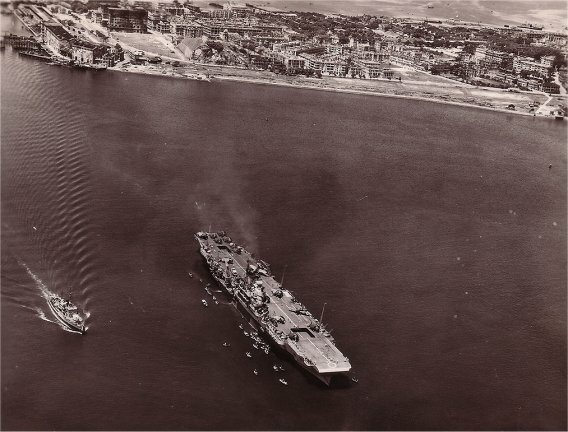 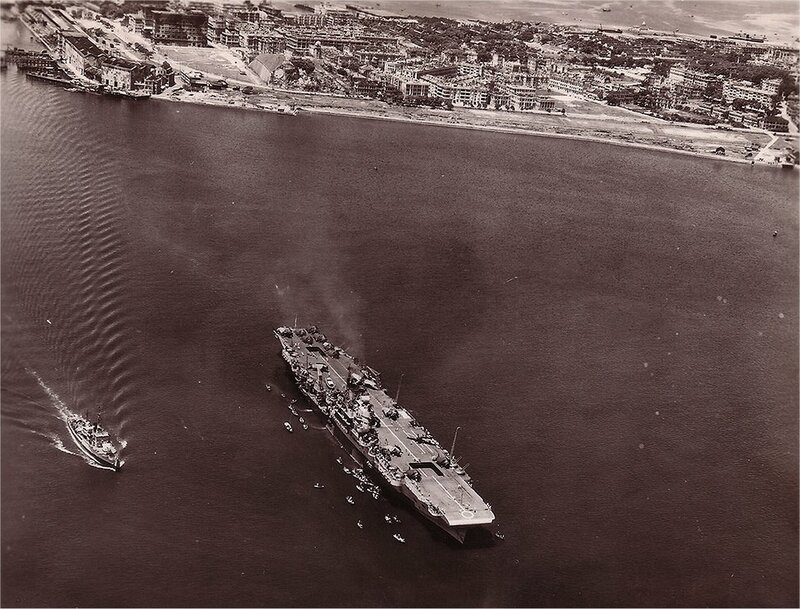 after the ship arrives in Hong Kong, August 1945. 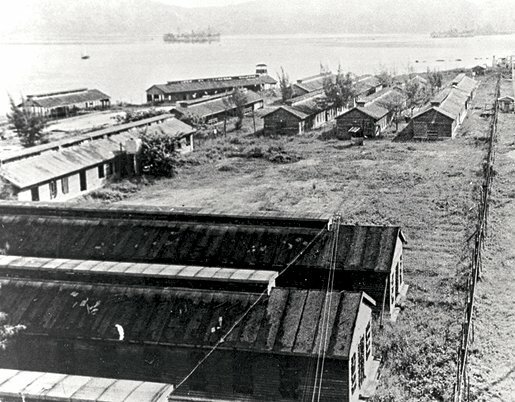 The North Point PoW camp. 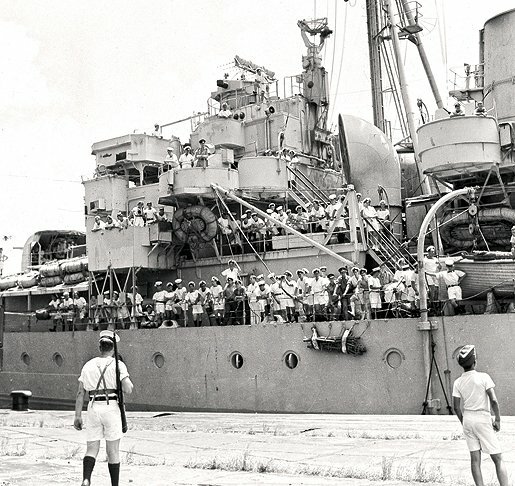 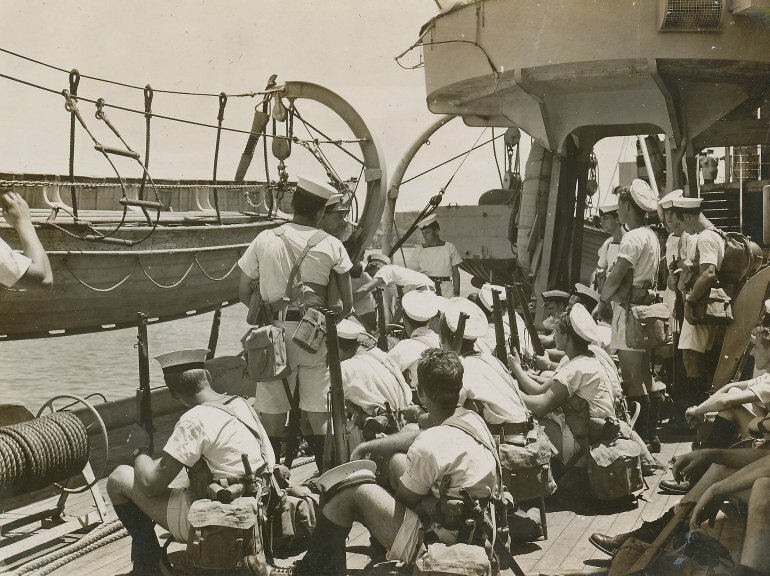 Landing party from HMCS Prince Robert preparing to disembark in Kowloon, August 1945. 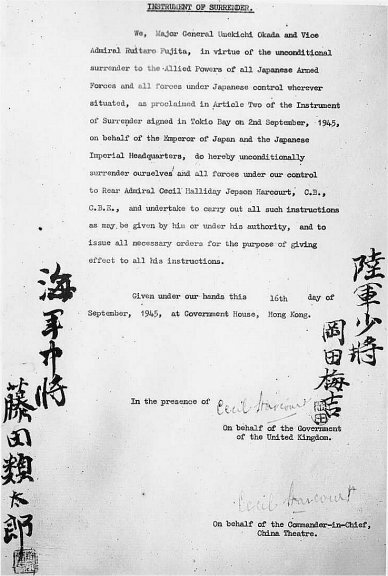 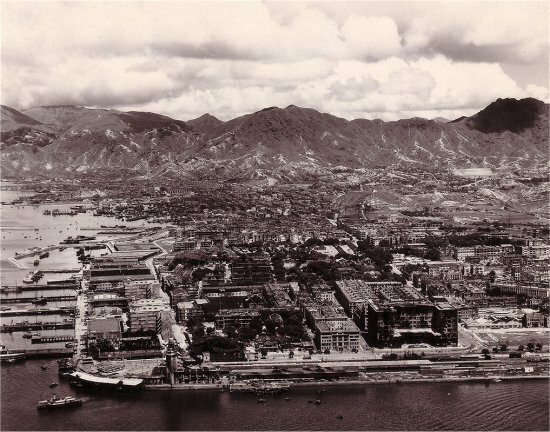 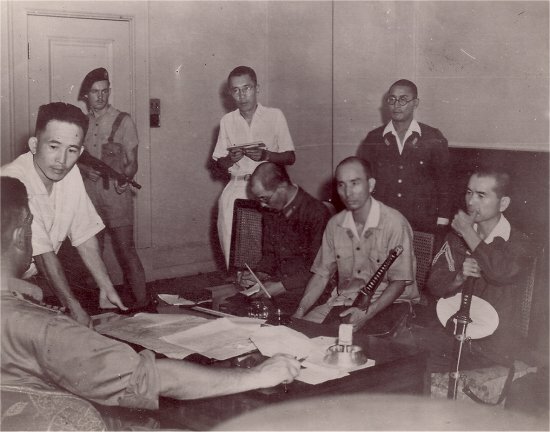 The landing party was bound for Sham Shui Po Camp to liberate Canadian prisoners of war. 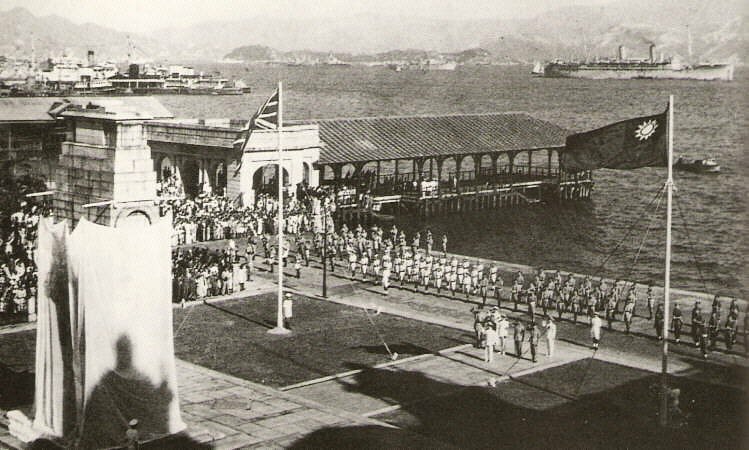 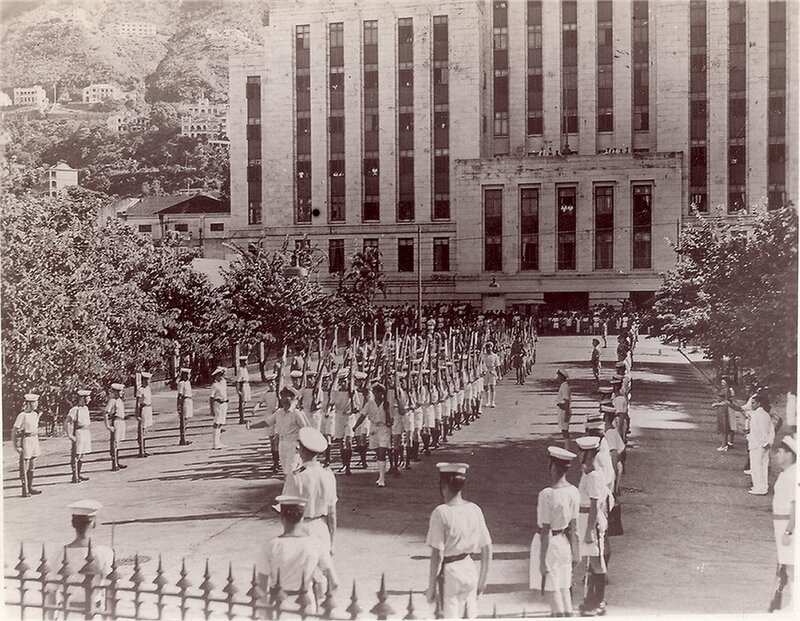 Liberation of Hong Kong in 1945. 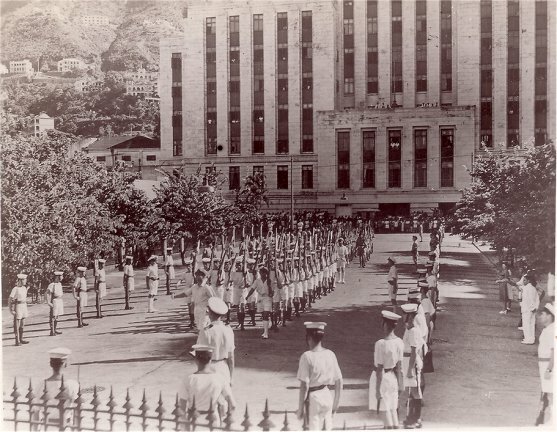 Picture taken at the Cenotaph in Central, Hong Kong.